Finding Breckenridge recreation opportunities can be difficult if you're not familiar with the area, primarily because there are so many options to choose from. Whether you want to get active or relax, there are many things to do in and around Breckenridge. 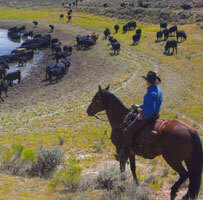 One options you should consider is horseback riding here at Rusty Spurr Ranch. Everyone is welcome, from skilled riders to those who have never been on a horse before. You'll find that our horses are energetic and friendly, and that our 2,000 acre ranch features stunning vistas of the natural beauty Colorado is famous for. Our operation is kept small, as this allows us to provide a personalized, authentic experience for each of our guests. Our goal is to tailor every ride to fit your goals. We get creative! Our trail rides are not just “nose-to-tail,” like a guided tour. We encourage our guests to get out there and actually ride. Our horses love it, and you will, too! 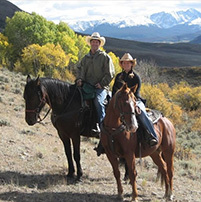 Horseback riding is a favorite form of Breckenridge recreation, and while other recreational opportunities abound in the area, we hope you'll join us for a horesback trail ride at Rusty Spurr Ranch! It's an incredible experience you'll not soon forget. Because we wantto make sure all of our guests get to enjoy exactly the experience they're looking for, we do request that you make a reservation in advance for a trail ride, especially if you'd like to bring a large group. Call 866.724.9715 today to reserve your ride! If you're planning a visit to Summit County, Colorado, there are several activities you don't want to miss. Breckenridge horseback riding is one such activity, and it's an experience you and your family and friends will remember for many years to come. 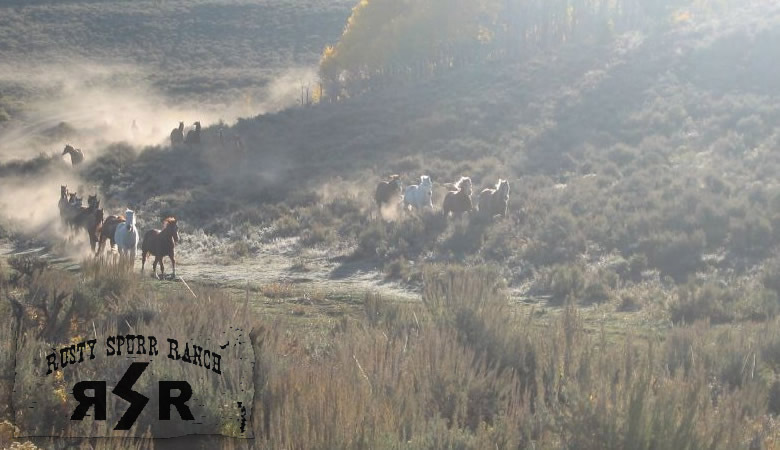 Rusty Spurr Ranch is located close to the Breckenridge area on 2,000 acres of beautiful, natural Colorado land. This is a true riding environment, a profound opportunity to explore and enjoy the natural wonder Colorado has to offer. Take your time and enjoy the scenery; this is a big part of what our state is all about, and Breckenridge is renowned for its beautiful mountains, forest, and meadows. All of this is yours to experience and explore. We take our horses very seriously and work hard to provide them the best living environment possible. We don't keep our horses confined to dusty corrals or mucky stalls. Instead, we allow them to run free in huge pastures where they can eat wild grasses—which tend to be higher in protein content than many cultivated options—and rest in the shade of aspen groves. This keeps our horses happy, healthy, and ready to provide the best horseback riding experience for our visitors. There are many ways to experience nature, but we prefer to see it on horseback, the many of the early pioneers and settlers in the area saw it. There's something inspiring and authentic about Breckenridge horseback riding, and we hope you'll join us for a trail ride!